Last week we welcomed Employee Volunteer Week (EVW); a new event that’s part of TuGo’s Social Responsibility Initiative and the newest addition to TuGo’s Employee Volunteer Program. In the days leading up to the Thanksgiving long weekend, TuGo employees participated in five opportunities to give back to the community and dedicate time to important causes. Here’s how we stepped out of our work shoes, rolled up our sleeves and volunteered to pitch in at some local parks and charities! Take a look at the pictures below to see the fun we had helping our local communities while enjoying the beauty and generosity of our cities! 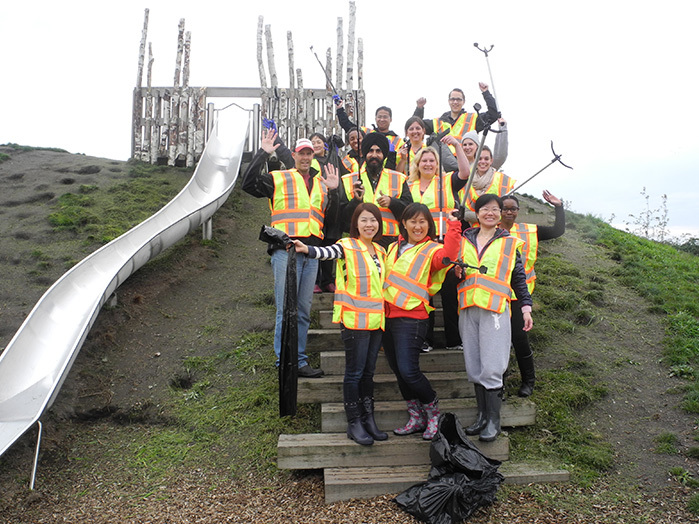 TuGo head office employees in Richmond, BC choose from three volunteer options: cleaning up garbage at Terra Nova Rural Park, Garry Point Park or helping at The Richmond Food Bank. Our Montreal staff pitched in at the Old Brewery Mission while staff from the Mississauga office volunteered at The Mississauga Food Bank. 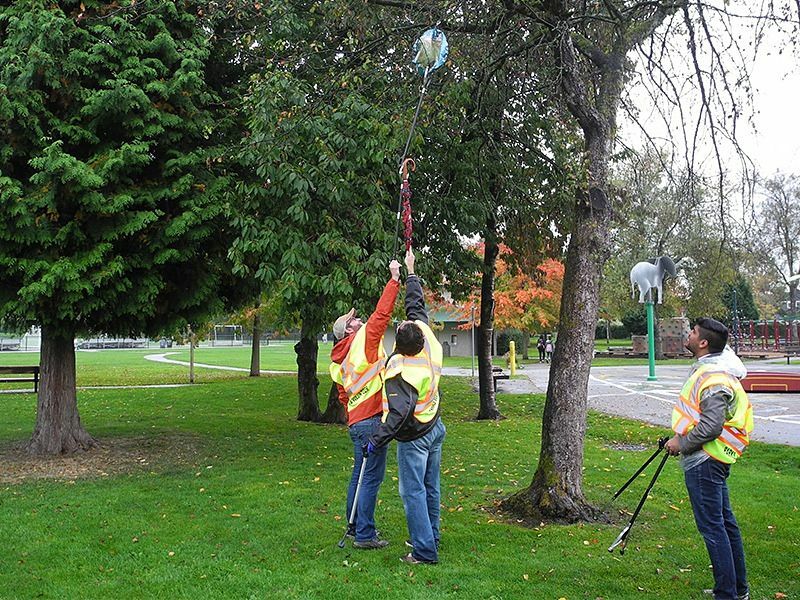 Despite the typical fall rain in Richmond, BC, TuGo employees volunteered with smiles on their faces right before Thanksgiving weekend. Garry Point Park is a 75 acres waterfront park in Richmond, BC, near Steveston’s historic fishing village at the mouth of the Fraser River. It’s a great place to take your dog for a walk, fly a kite, eat delicious fish and chips, or watch a beautiful sunset! Garry Point Park includes a Japanese memorial garden and sandy beaches along the South Arm of the Fraser River. This park is one of Richmond’s largest and the only one with a beach. TuGo employee volunteers did our part to keep it clean. 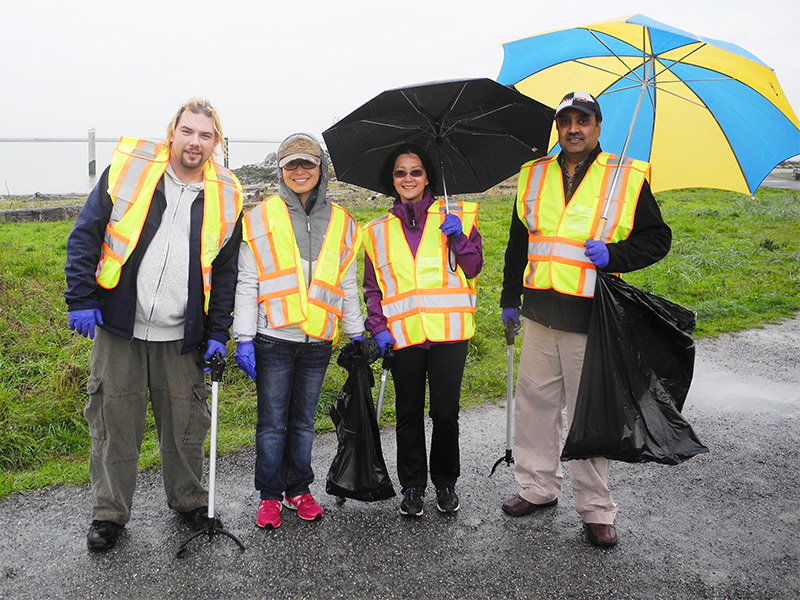 Even in the rain, TuGo employees were still ready to clean up Garry Point Park! Here’s Lesley, our Customer Operations Director and Sherlyn, Senior Support Specialist striking a quick pose. Two hands are better than one when getting garbage from tricky places! Now that’s TuGo teamwork! Richmond’s Terra Nova Rural Park is 63 acres with historic buildings, a community garden, picnic areas, and a pretty cool Play Environment. The park is right along the Fraser river dyke and habitats for birds and other wildlife. The Sharing Farm and Terra Nova School Yard Society also make this park special, and TuGo volunteers were happy to help keep this park as clean as it is beautiful. 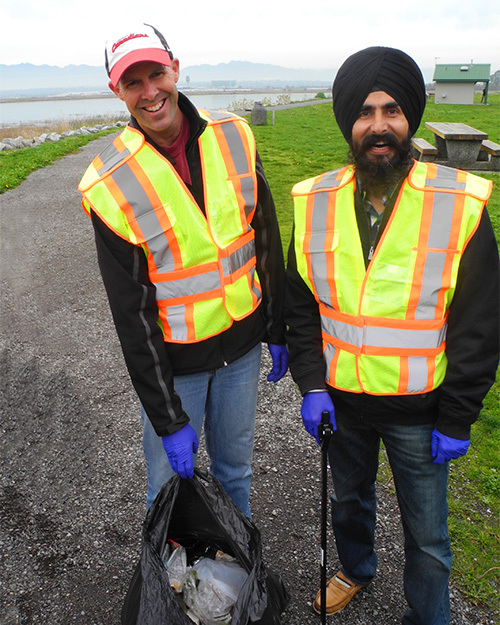 TuGo employees, Iain, HR Director, and Rajbir from IT showing off the garbage they collected at Terra Nova Park, just south of YVR. 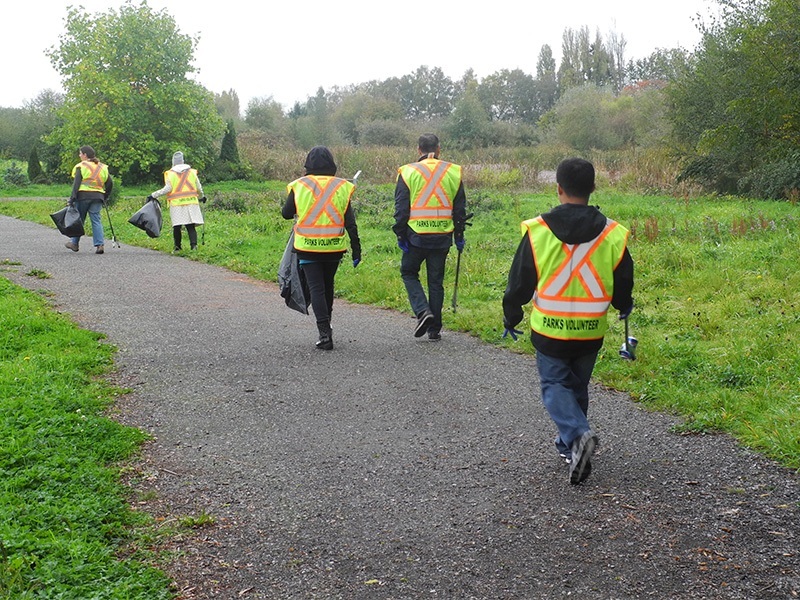 Here’s the Terra Nova Park afternoon cleanup team heading into the park. Not only did we pick up garbage in Terra Nova Park, we got to know our colleagues better too! Who knew volunteering with co-workers could be so great for morale! The Richmond Food Bank provides healthy and nutritious food to more than 1,500 locals a week. 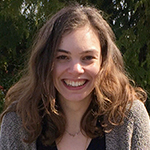 They provide residents with healthy food choices and connect them to services that address the root causes of poverty. 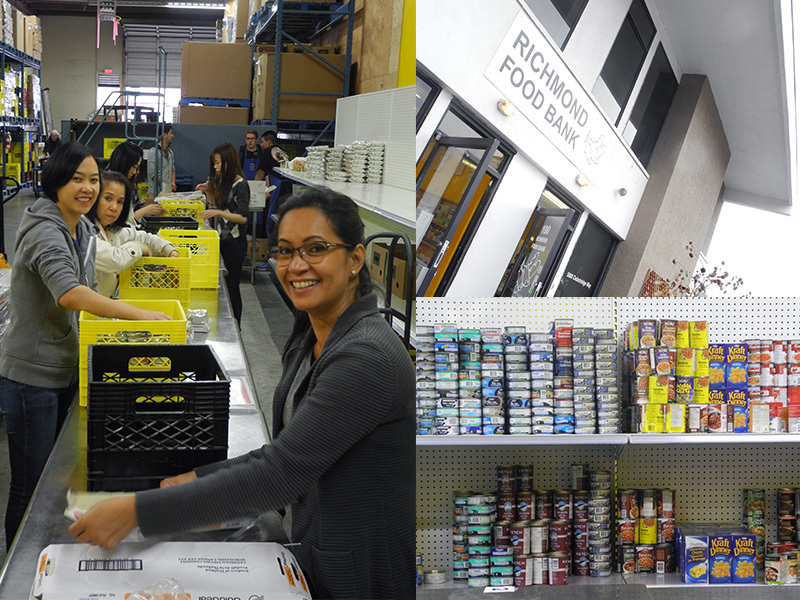 The Richmond Food Bank runs solely on the generosity of volunteers and donations. With Thanksgiving just around the corner it made volunteering at the food bank all the more meaningful. Richmond volunteers pitching in at Richmond Food Bank. The Mississauga Food Bank is the central food bank in Mississauga, Ontario. They distribute 2.2 million meals a year through 47 agencies across the city—that’s way more food than most food banks! They rely on corporate and individual donations and sponsorships to continually provide healthy meals. It was a powerful experience helping a food bank with this kind of reach; it’s obvious that volunteering makes a difference in our communities. 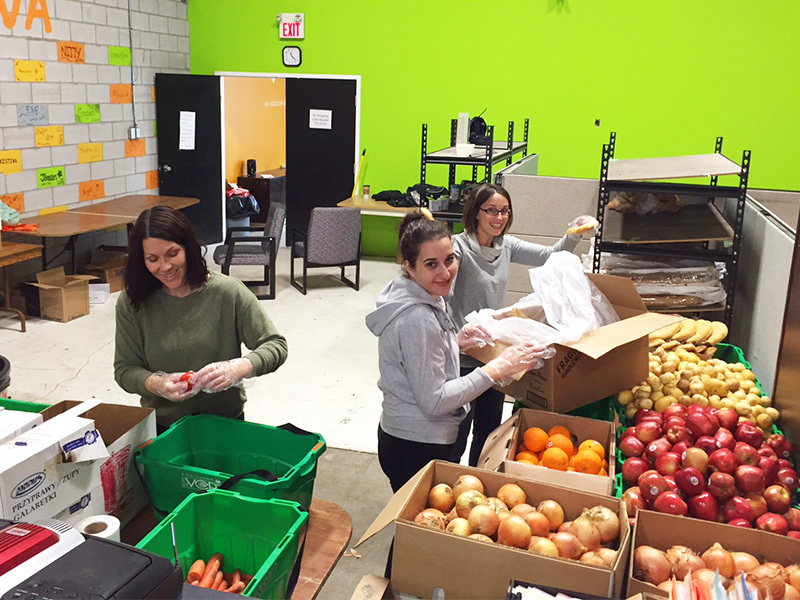 Here are some of our awesome TuGo Mississauga employees sorting fruits and veggies at the Mississauga Food Bank. Check out this awesome team! 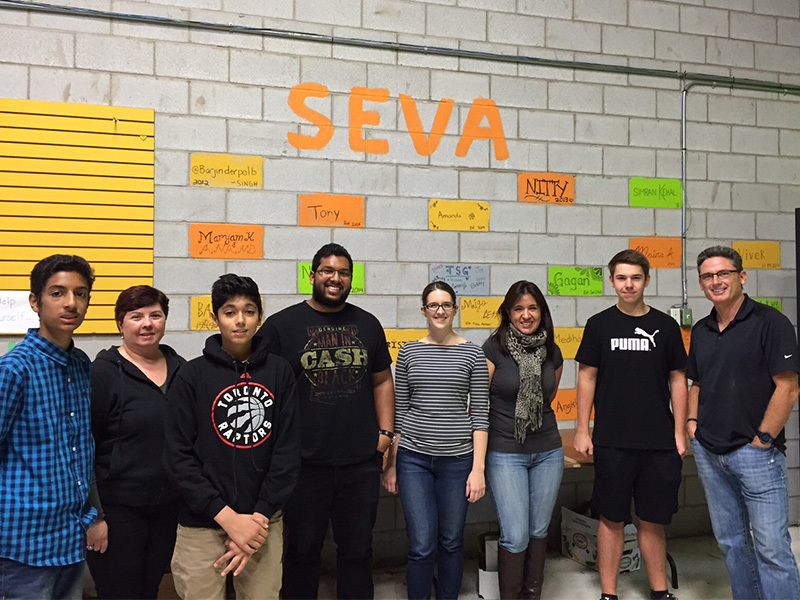 Here are more TuGo Mississauga volunteers working alongside others from the SEVA community at The Mississauga Food Bank. The Old Brewery Mission works with homeless people in Montreal to meet their immediate basic necessities, such as Emergency Services and a healthy diet. They focus on practical and sustainable solutions to address homelessness too. Spending a day helping the Mission with such an important cause was a true privilege, and made the week before Thanksgiving a memorable one for our TuGo Montreal employee volunteers. More potatoes, anyone? 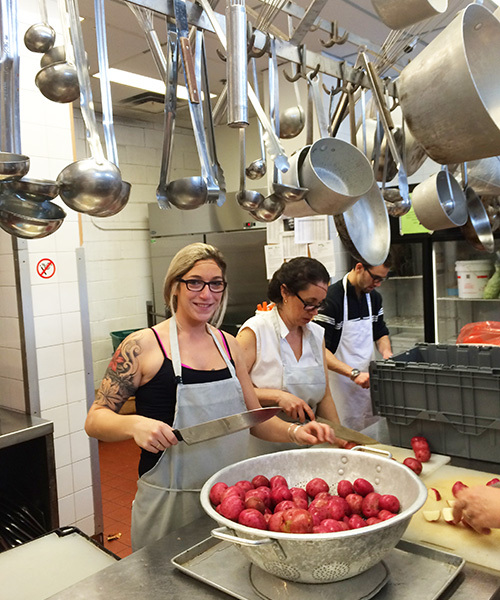 Here’s the awesome TuGo Montreal Customer Service team in the kitchen at the Old Brewery Mission. 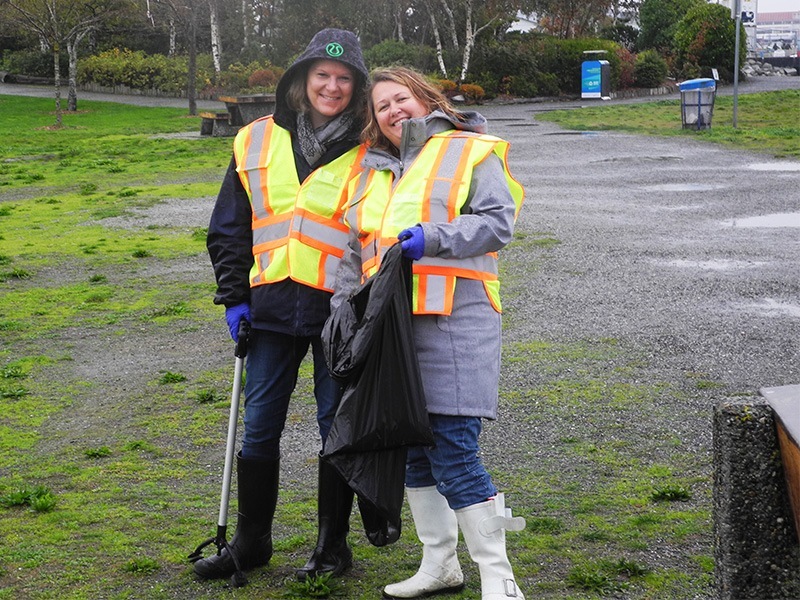 Whether cleaning up garbage in the rain to preserve BC’s natural beauty or volunteering at local food banks to make Thanksgiving a little easier for those in need, TuGo employees had a great time giving back to their communities! How do you volunteer in your community? Share a comment below!